Brace Engineering, Inc., Founded by Frank C. Brace in 1979. After serving in the U.S. Army, Frank graduated from Carnegie Institute of Technology (currently known as Carnegie Mellon University) in 1958 with a Bachelor of Science in Civil Engineering and began his engineering career at John M. Sweeney. He completed his Master of Science in Civil Engineering in 1963 also from Carnegie Institute of Technology. After leaving John M. Sweeney he was a Project Analyst at Service Bureau Corporation for two years before forming Marshall and Brace in 1970. In 1979 he dissolved Marshall and Brace and formed Brace Engineering and continued to establish a reputable consulting engineering business with over 5,000 projects completed until his retirement in 2006. Today Brace Engineering, Inc. continues to provide professional engineering services specializing in all areas of structural analysis and design with the respect and quality that Frank established with David A. Brace, P.E. as President and Joseph J. Cherichetti, Jr., P.E. as Vice-President. Brace Engineering, Inc. has developed a recognized professional reputation and a competent and innovative organization to provide quality and practical consulting services in many areas of building design and construction. The diverse expertise of its personnel produces buildings and facilities based on sound professional practices yet encompassing the practical and imaginative aspects that result in low-cost construction and maintenance. Brace Engineering, Inc. maintains a staff of engineers, technical, and support personnel who are educated and experienced in performing comprehensive services from project conception to completion. 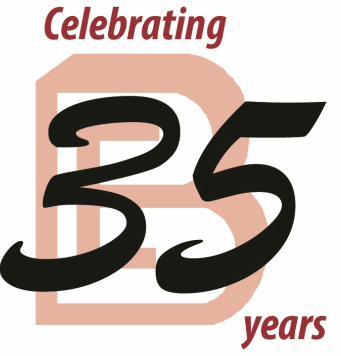 Brace Engineering, Inc. has provided structural engineering design and consultation for 35 years. Our list of project experience is diverse. Our endeavors have included numerous housing facilities, dormitories, universities, hospital and medical facilities, office buildings, theaters and cultural buildings, churches, historic and preservation projects, gymnasiums, libraries, warehouses and parking garages. Through our abundant projects, our experience and proficiency, and dedication to a greater understanding of the needs of our client, Brace Engineering, Inc. is a comprehensive firm whose mission is to provide the highest quality of service.